I hate cooking at night. Most days, I wish someone would cook dinner for me so that I wouldn’t have to touch the kitchen past 2pm. I guess that’s not totally true. Cooking for others at night is fun. Cooking for myself, not so much. Baking in the morning is my favorite. Making elaborate lunches runs a close second. Place 1 sliced fig and 1/4 cup of balsamic vinegar in a saucepan over medium heat. Once it comes to a boil, lower the heat and simmer until reduced (about 5 minutes, you can do this while you prepare the rest of the sandwich). Spread the goat cheese on the toasted bread (either on one side or both, I did one side). 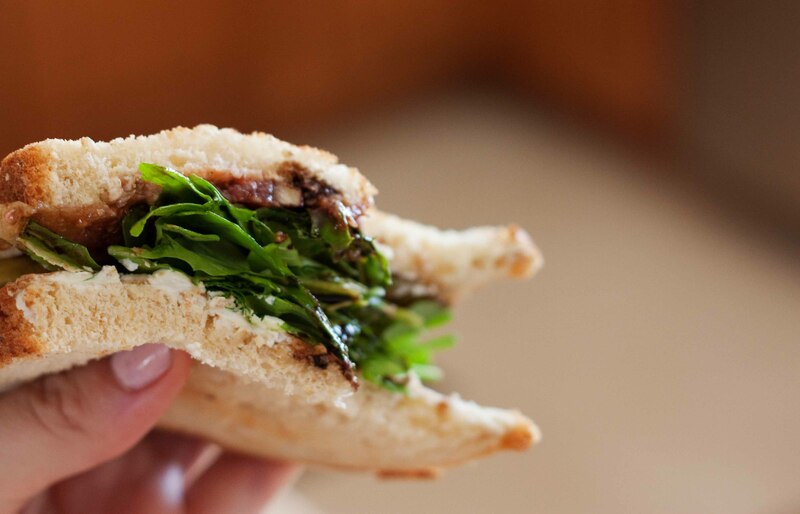 Lay the sliced figs one side, the arugula on the other. 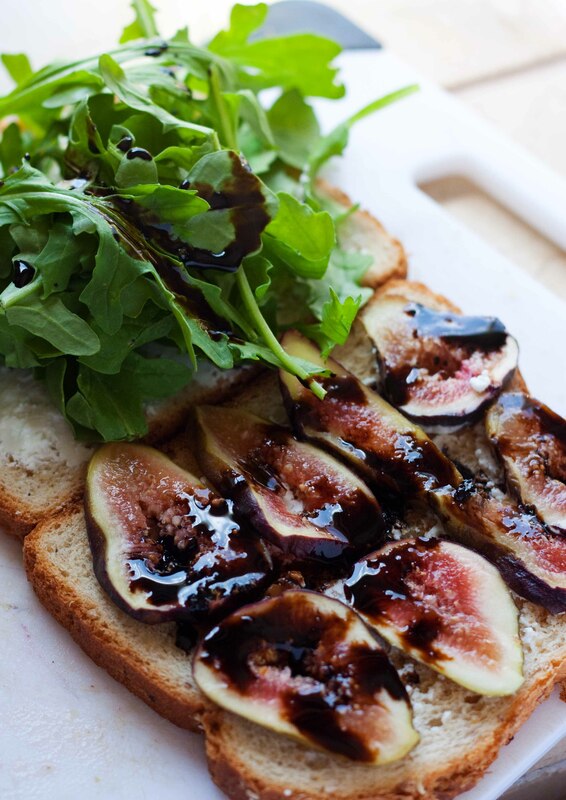 Once the balsamic reduction is ready, drizzle it on the figs and arugula and your sandwich is ready. Next make the kale, heat oil in a pan to medium/high. Add kale, garlic, salt and pepper and stir around. Add some water if it’s too dry. 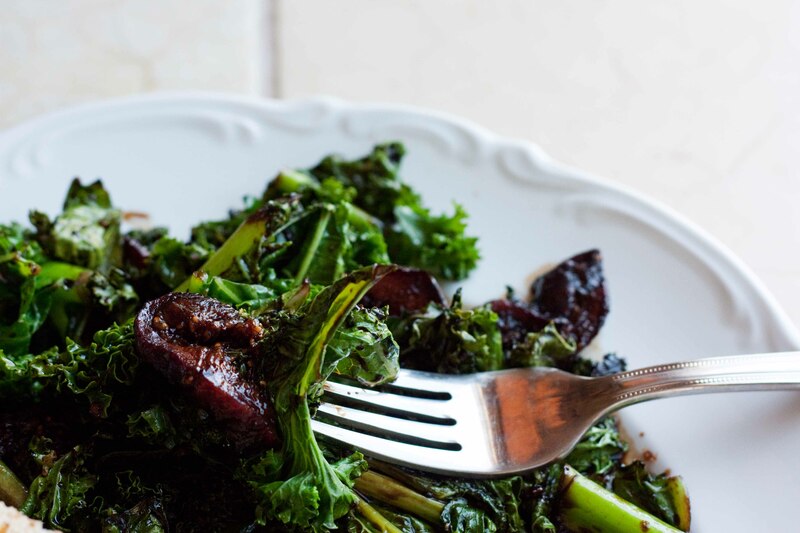 Once the kale has cooked (but is still pretty bright green), top with remaining (or just some, if you don’t like things too acidic) balsamic reduction and cooked figs. 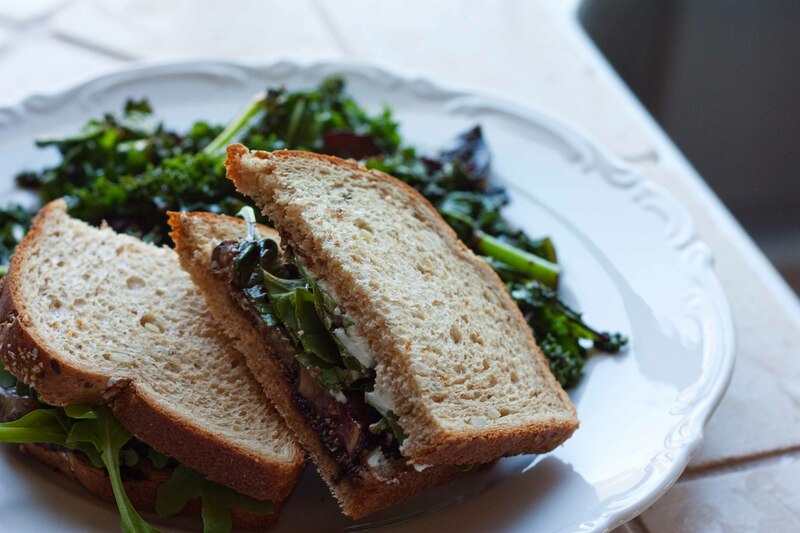 Crumble some more goat cheese over it, if you’d like, and serve along side your sandwich! Best eaten at lunch but works well for dinner too… If that’s your thing… And if it is, come over and make me dinner! Also Reminder: Summer in a Box Giveaway ends Saturday! My. Type. Of. Lunch. Dinner. Snack. What. Have. You. you make me lunch and i’ll make you dinner. deal?